One of the most impressive parts of the island is the skerry of Chytra located at a short distance across the harbor of Kapsali in the south part of the island. On its south side there is a cave with enchanting colors both in the exterior and on the seabed. At the end of the cave there is a haven for seals. 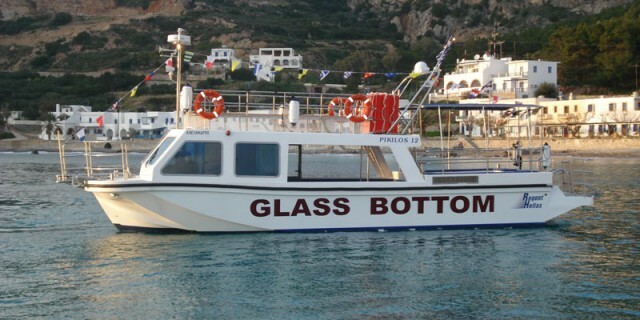 Glass bottom boat does daily trips during the summer with his boat Alexandros. Going up on the isle requires attention, as the ground is steep and rocky, yet is the place that you will most definitely find Sempreviva, the yellow flower that means eternal life (Sempre viva). This very rare flower is handpicked on June from very experienced Kytherians.